UN Tuberculosis Negotiations: What Is At Stake? With negotiations over the final language of a United Nations high level declaration on ending tuberculosis still ongoing, the stakes are high as different TB stakeholders await the outcome. The language in question could either raise or reduce barriers to affordable access to life-saving TB drugs, according to civil society groups. 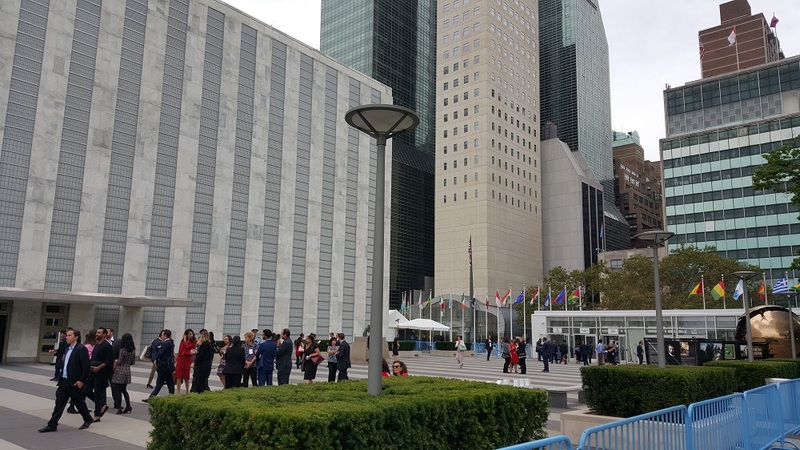 According to sources, a compromise has not yet been reached, and the negotiation process is expected to carry into September where it will likely increase in pressure and intensity in the lead-up to the 26 September UN High Level Meeting on Tuberculosis in New York. Sources say that the heat will be on to reach a solution particularly as the timing approaches the end of the 72nd session of the UN General Assembly on 17 September, and the start of the 73rd session on 18 September. In preparation for the high-level meeting on TB, member states contributed toward drafting a political declaration on TB, detailing actionable political commitments toward the eradication of TB. Negotiations of the fine points of the text were expected to be completed by mid-July. A sticking point in the negotiations, however, emerged over the inclusion of language affirming the use of intellectual property flexibilities in international trade law, which enable countries to override pharmaceutical patents and to issue compulsory licences for the production of generic drugs as a public health safeguard (IPW, Health & IP, 24 July 2018). Those negotiations are ongoing behind closed doors around the UN, according to sources. Regardless of the outcome of the TB declaration negotiations, these flexibilities are enshrined in law by the 1994 World Trade Organisation Trade-Related Aspects of Intellectual Property Rights (TRIPS) Agreement and the 2001 Doha Declaration on TRIPS and Public Health. The United States categorically disagreed with the inclusion of this language in various drafts of the TB declaration, according to sources, and in an attempt to reach consensus, the language was removed by the co-facilitators in what was seen as the final document. South Africa, however, broke the consensus by disagreeing with the exclusion of this language. The US and South Africa have been engaged in negotiation since the end of July, and according to sources have been very close to reaching an agreement (IPW, Health & IP, 23 Aug 2018). IP-Watch reached out to the South African and US missions to the UN for an update on the negotiations, and is awaiting a response. This negotiation process can be arduous, sources say, as delegates from the US and South Africa must send provisional agreed-upon language to their respective capitals for approval or not, often sending delegates back to the drawing board. According to sources, compromise language is currently being negotiated, so there is a likelihood that this will not result in an all-or-nothing stalemate; however, details of the compromise cannot be confirmed until an agreement has been reached. The United States has taken a strong position against any political commitment in support of the use of TRIPS flexibilities, particularly the issuance of compulsory licences to promote access to medicines, and has instead continued to highlight the role of intellectual property as a strong incentive for innovation of TB drugs. At a 12 December 2017 meeting of the General Assembly to adopt a text on global health and foreign policy [pdf], a US representative responded to the inclusion of language on TRIPS flexibilities as unacceptable. “While recognizing the importance of access to affordable, safe and effective medicines, she [US representative] expressed regret over the inclusion of unacceptable language on the World Trade Organisation Agreement on Trade‑Related Aspects of Intellectual Property Rights (TRIPS) and the Doha Declaration on the TRIPS Agreement and Public Health. The strong protection and enforcement of intellectual property rights incentivized the creation and distribution of lifesaving medicines,” the US said according to a UN press release at the time. In the context of the negotiations of the TB declaration, the US has continued to emphasise the importance of intellectual property and domestic investment in health systems as more important for access to medicines than affordable drug prices. At the UN interactive civil society hearing on TB on 4 July, a representative from the US Mission stated that since “the vast number of people with TB are undiagnosed and that this is a treatable disease, it would seem to be a better use of global efforts to focus on improving health systems, preventive measures, and development of new tools, rather than be distracted as we often are into a discussion of access to medicines, intellectual property flexibilities, or compulsory licensing,” according to a UN TV webcast. Johnson & Johnson’s new TB drug bedaquiline, developed through its subsidiary Jannsen, has been recommended by the World Health Organization (WHO) for the treatment of multi-drug resistant tuberculosis (MDR-TB) since 2013. When combined in a cocktail with other TB drugs, bedaquiline increases the TB cure rate, and decreases the toxicity of treatment, replacing highly toxic and painful injectable drugs that can lead to hearing loss, according to the WHO guidelines [pdf]. For the treatment of MDR-TB, the WHO also recommends another new TB drug, delamanid, produced by Otsuka Pharmaceutical Co., based in Japan. Intellectual Property Watch requested an official statement from Johnson & Johnson on the TB declaration negotiations. In response, the company provided a statement from Adrian Thomas, vice president of global public health & access, excerpted below. “At J&J, ensuring access to bedaquiline for patients who need it is our top priority and a responsibility we take very seriously. That’s why – inspired by South Africa’s leadership and commitment to replace less effective and toxic injectable drugs with bedaquiline for all patients with MDR-TB – we recently announced that we will reduce the price of bedaquiline to US$400 for South Africa. In support of South Africa’s call for other governments to follow their lead, we will also offer the same special effort price to eligible national treatment programs and NGOs procuring through the Stop TB Partnership’s Global Drug Facility. South Africa, in contrast, rejected the text of the TB declaration that did not include actionable political commitment to the use of TRIPS flexibilities, including compulsory licensing for countries to produce affordable TB generics as a public health safeguard. Civil society organisations in South Africa and in other low and high-income countries alike expressed solidarity with South Africa’s position on the TB declaration. Statements in solidarity with South Africa are compiled in an 18 August blog post by Treatment Action Campaign (TAC), based in South Africa. Highlights of these statements are included below. The TAC blog post also includes solidarity statements from European AIDS Treatment Group, Asia Pacific Network of People living with HIV/AIDS, and the Kenya Legal & Ethical Issues Network on HIV and AIDS. Tuberculosis is among the top 10 causes of death worldwide. In 2016, more than 10 million people were infected by TB, and 1.7 million people died from the disease, with over 95 percent of deaths occurring in low and middle-income countries, according to WHO data. In response to the urgent need to address the TB epidemic, and the rising rate of TB drug resistance, Johnson & Johnson had “agreed to donate 30,000 treatment courses over 4 years [ending in 2019], but this amount is sufficient to treat fewer than 3.5% of MDR-TB cases detected over this period,” according to the study. This study was referenced in a 12 July Treatment Action Group (TAG) statement [pdf] calling on Johnson & Johnson “to price bedaquiline fairly and within reach of the most vulnerable, and to restrict themselves to reasonable profits,” in order to ensure widespread and affordable access to the life-saving medicine. “This discrepancy is deeply troubling. It means that countries like South Africa will excessively reward Johnson & Johnson—at a time of severe budgetary constraints. Every dollar spent on high priced treatment is a dollar taken away from strengthening the TB response, including hiring more health workers, and conducting contact-tracing to close the gap of the 4.1 million undiagnosed people with TB, including the over 78% of people with drug-resistant TB who are not identified and started on appropriate therapy,” according to the TAG statement. David Branigan is a contributing writer at Intellectual Property Watch and Health Policy Watch. He graduated in May 2018 from the Studley Graduate Program in International Affairs at The New School. His research is focused at the intersection of technology, public policy and human rights. David Branigan may be reached at davidbranigan@gmail.com. "UN Tuberculosis Negotiations: What Is At Stake?" by Intellectual Property Watch is licensed under a Creative Commons Attribution-NonCommercial-ShareAlike 4.0 International License.